When you spend every work day on the computer- it’s important to GET OFF and just get out in nature every once in awhile. Our trip this past weekend to Blue Ridge, GA was a much needed respite from technology, stress, and well- the horrors of the world. We tried to disconnect as much as possible but it was still hard to get away from the heavy tragedy that happened this weekend. Which, I just want to address- that anyone reading this in the LGBTQ+ community- I stand with you. It’s obvious this was a hate crime and while the gun control and immigration debates rage on- I just want to be clear where I stand, and it’s in solidarity with you! Being out in the mountains and river this weekend and spending time away from the urban jungle of west midtown- makes me feel really introspective about life, my place in it, humanities place in it, etc. There’s just nothing like staring at a clear sky of stars and thinking about your place in it all. Just humbling. In the city I rarely get to just stare at the stars, and it’s something I really miss. Amid all the atrocities in the news- it helps drive home just how important it is to cherish and make the most of every single day and care for your loved ones. We stumbled upon this center from a helpful guide that was in our cabin. 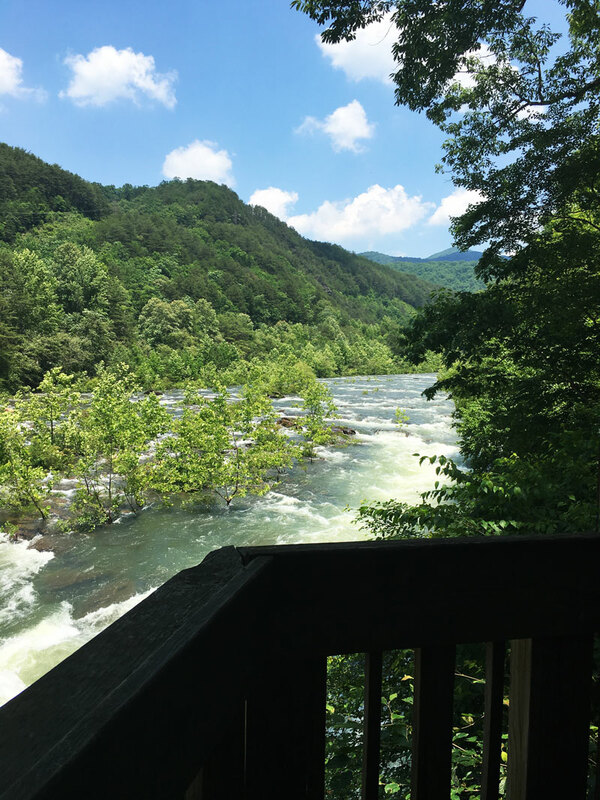 There were gorgeous views of the Ocoee River and a leisurely mountain hike and suspension bridge to enjoy (although it took us FOREVER to find this elusive bridge!) This area had a lot of campsites, too- and whitewater rafting. We didn’t get to whitewater raft this time- but many people were enjoying themselves on the river and it really was and refreshing to just hang out there for a while and enjoy the scenery. When our plans for going whitewater rafting didn’t pan out (Only thing available was a LEVEL 5!) 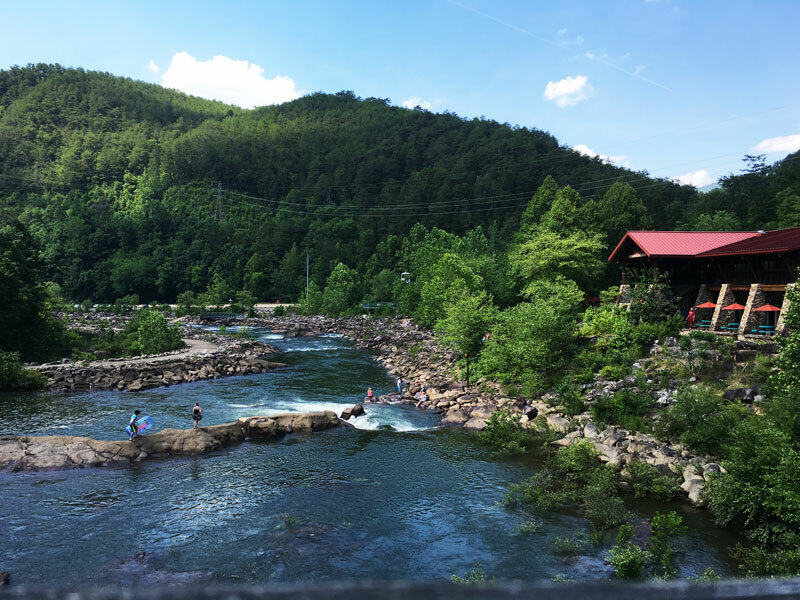 – we decided to hit the river in a more leisurely fashion- enter Toccoa River Tubing Company. Somehow- I’ve never actually gone tubing on a river before and clearly I’ve been missing out! After our hiking and tubing adventures- we were all so starving considering we hadn’t eaten since brunch. We somehow came across a pizza place downtown that had literally just opened a few days prior. We got it to-go and ate it in our cabin and I have to say it was DELISH. We devoured it so fast I never got a chance to snap a photo. If you’re ever in the Blue Ridge/Toccoa area, definitely check them out! We’re pretty hard to impress when it comes to pizza (We’re spoiled-by-Antico-West-Midtown-ers) but it was a solid choice. Again- this wasn’t a super action-packed trip, considering the first day we arrived we literally just grilled out at the though, to be honest. 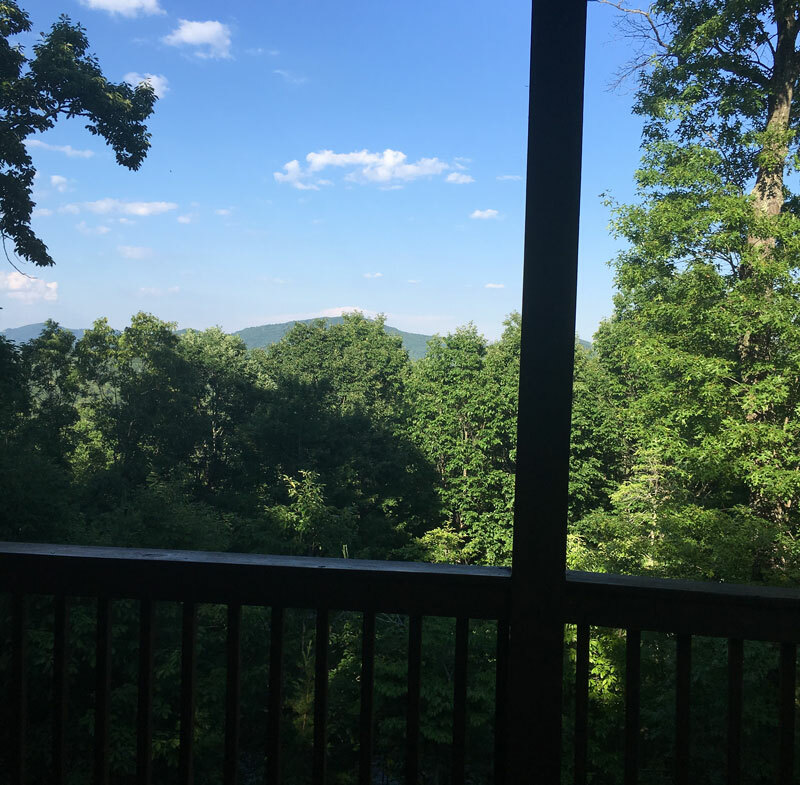 Our cabin had some absolutely stunning mountain views from the porch and bedroom windows, and I look forward to going back again sometime soon! There’s just something about a mountain get-away to hit the “reset” button on life and get you energized and ready to take on the world again. 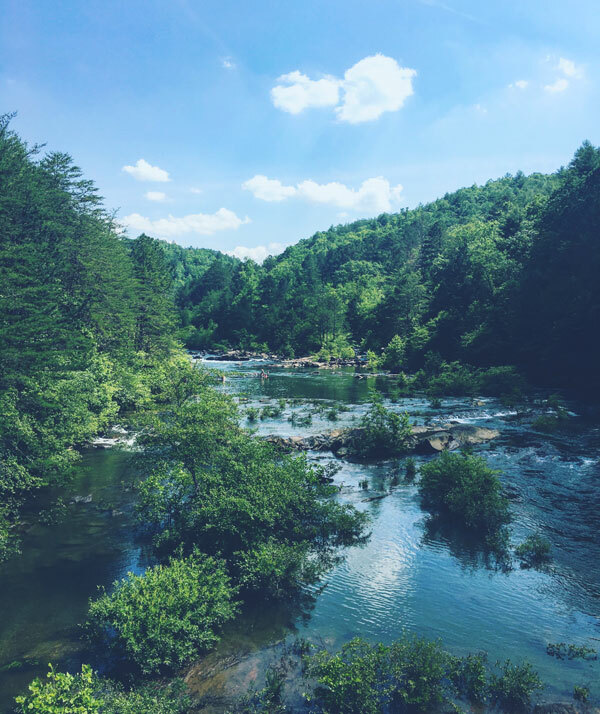 Have you ever been to the Blue Ridge, GA area? What are your favorite spots?